Somewhere, far off in space, there is a massive and dramatic power that wreaks havoc on everything around it and destroys all life that might come near it. It has been raging for almost all of time and gives no indication of letting up anytime soon. Churning with violent nuclear forces within itself and extreme heat and magnetism without, this monster is to be kept millions of miles away from us to ensure our safety. And there is not only one of them; there are countless trillions of these raging giants all around us. The only thing separating us from them is the millions of miles of space. We call them stars. To help us better understand the magnitude of energy coming from these stars, we will make our first stop at a small star called a white dwarf. This particular type of star is much smaller than the sun and only slightly larger than the earth. However, its mass, or weight, is about 200,000 times greater than the earth’s. It produces enough energy in one second to satisfy the electrical needs of the earth for ten thousand years. Our sun is much larger and more powerful than a white dwarf. It shines about 100 times brighter than a typical white dwarf. The amount of energy released by the sun in one second is equal to the amount of energy that 2.5 billion of the largest power plants on earth could produce in an entire year. Another way to look at it is that the sun puts off enough energy in one second to supply the electrical power needs of the earth for over a million years. 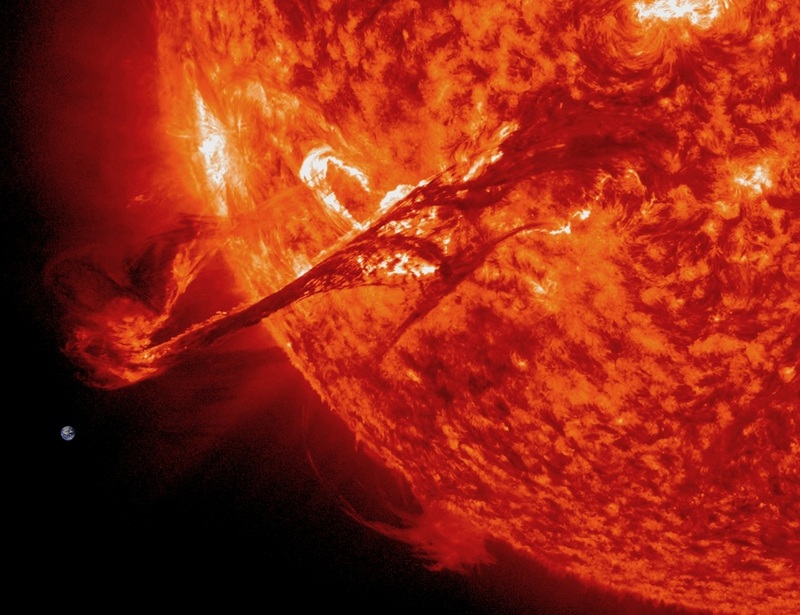 One more illustration shows us that the sun produces as much energy every second as 20 billion hydrogen bombs. These are the largest bombs made and are much bigger than any bomb ever used in warfare. According to NASA, the sun's output is 380 septillion watts. Converting the watts into horsepower gives a total figure of 500,000,000,000,000,000,000,000 (500 billion trillion) horsepower! How much power is that unimaginable amount? NASA says it’s enough energy to melt a bridge of ice two miles wide, one mile thick and extending the entire way from the earth to the sun, in one second. 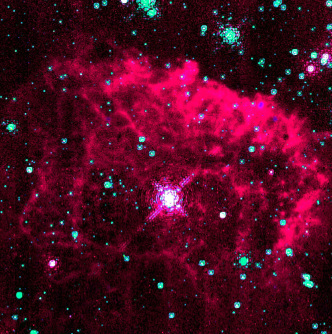 There is another star called the Pistol Star. It is in our neighborhood, the Milky Way galaxy. Although the sun is extremely powerful, this star is even much more so. It produces 10 million times more energy than the sun and gives off as much energy in six seconds as the sun does in an entire year. The Pistol Star's energy output is so high that it is actually throwing billions of tons of its outer layers into space. There is the Pistol Star, and then there is the Quasar, these colossal fire blowers are in a whole new league. They make the Pistol Star look like a misfire. This last step up into such a mind bending display of power brings us to these rare objects that thankfully are nowhere near us. Because of Quasar’s incredible energy output, it was hard for astronomers to know exactly what they were when they were first discovered. Now there is evidence that they are the centers of extremely active galaxies and are fueled by a supermassive black hole in the core. 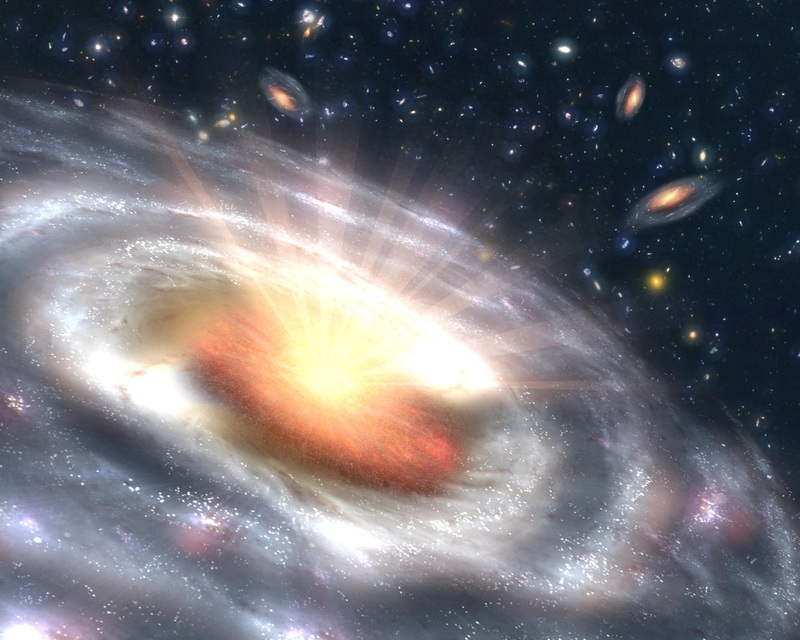 In order for quasars to shine as brightly as they do, the black hole empowering them must consume the equivalent of several hundred thousand Earths or one whole star annually. Astronomers tell us that a quasar is so powerful that that it could outshine our entire galaxy, including the Pistol Star and all the other 100 billion stars combined, 100 times over. A casual glance into the star studded night sky gives the illusion of a peaceful tranquility. But the overwhelming reality of the true nature of stars puts them in a new perspective as we see them for the extreme powerhouses that they really are! By the way -- can you imagine what their Creator must be like? Actual photo of the sun ejecting mass. The earth has been placed on this image at the proper size to give a sense of scale.